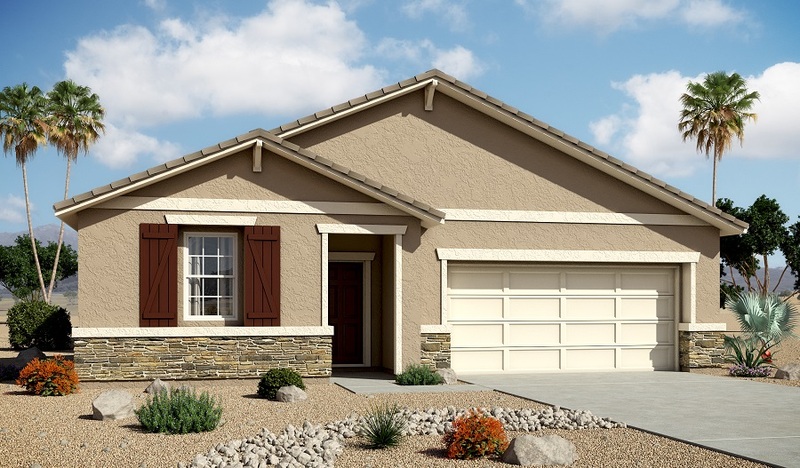 This ranch-style model home greets guests with a paver-stone driveway and charming covered entry. Inside, you’ll find airy 10' ceilings, a spacious great room and a gourmet kitchen featuring espresso maple cabinets, quartz countertops, a center island and slate appliances. You’ll also appreciate a laundry room—complete with sink, cabinets, washer and dryer—plus a private courtyard, a secluded master suite with a walk-in closet with built-in organizer and attached bath with walk-in shower, and a relaxing covered patio. Includes ceramic tile flooring!